Of the earlier great palaces of Ottoman sultans, only Topkapi palace and some kiosks remain. The Edirne Palace, second only to Topkapi, was destroyed in the 19th century. 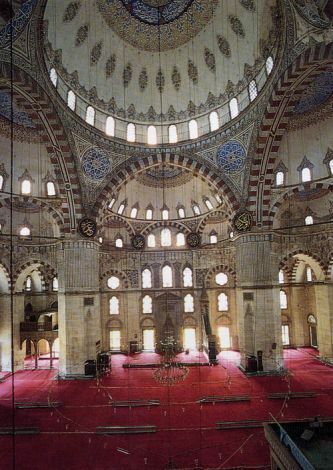 European styles influenced the Ottoman architecture after the second half of the nineteenth century. The palace of Dolmabahce, Beylerbeyi, Ciragan are such examples of European influence.